Heavier gauges of copper are the strongest, obviously. The heaviest commonly used gauge (20 ounce copper) has 67% more material than the lightest gauge commonly used (12 ounce copper) and so is more than twice as strong in most applications. The profile into which the copper is formed will also affect its ability to handle heavy snow loads. As any big quantity of snow is forced to move diagonally across some profiles, there can be edges which catch the moving snow. 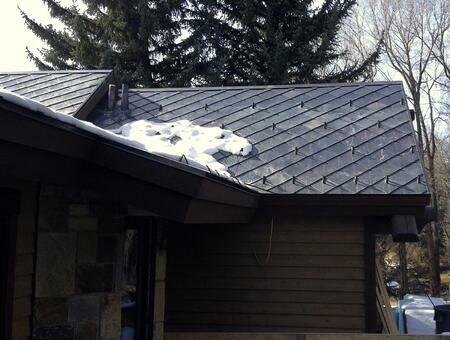 If the snow is deep and hard enough, it can literally tear off a metal roof - even a copper one. We have a few profiles that minimize or eliminate this situation - especially our diamonds. Some roof configurations (meaning the slope and complexity, penetrations, locations of chimneys) can be more challenging than others when it comes to metal roofing systems like copper (as well as most any other type of roof, incidentally). Generally speaking (and I say “generally” because there are an infinite number of roof configurations to offer as examples), the simpler the snow country roof (or the less snow it has to handle), the less care need be taken with the choice of copper roof assembly. When roofs get more and more complex, and have more and more detail, then it becomes increasing critical that the right copper roof be selected. 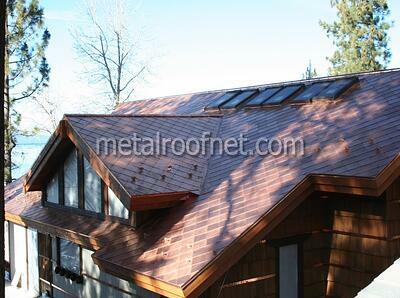 In tandem with the right copper roof specification, it’s important to pay attention to the right installation technique. High snow loads can put literally tons of pressure on a roofing system and may require things like snow retention hardware, possibly ice-melt systems, and diverters and crickets that direct snow where it needs to go or hold it from doing damage. We’re always happy to offer consulting for copper roofs in snow country, and or supply the best possible copper roofing system for an alpine building! Contact us today.